Visit the spectacular cliff dwellings and mesa-top villages in this world-renowned National Park. 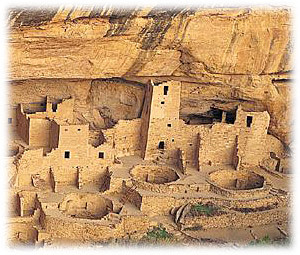 Mesa Verde, a World Heritage Site, has been voted #1 Historic Monument in the World. Ranger-guided, self-guided, and half-day guided tours are available in the Park. Enjoy dinner in the Park at the famous Metate Room with views that will take your breath away.